This tree fell through the roof and inside the home. 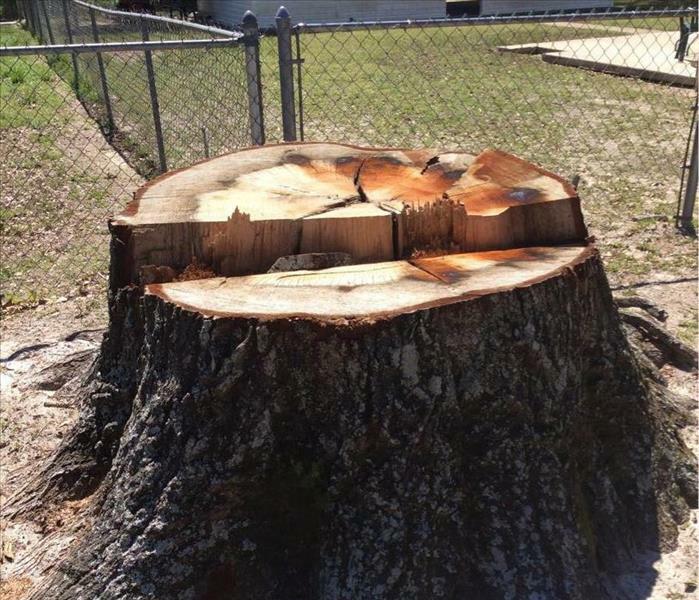 A local tree company was able to cut the tree down. As soon as the tree was removed, we were able to have access to the structure. 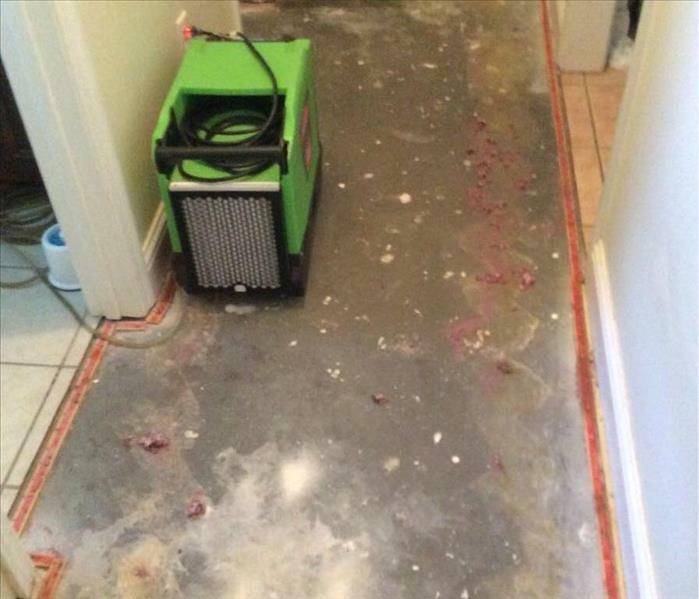 When disaster hits in Americus, SERVPRO was called to clean up the mess. We were able to get the tree taken down, tarped their home, and began the drying process. This was damage took place during a storm and the electricity was out for over a week. 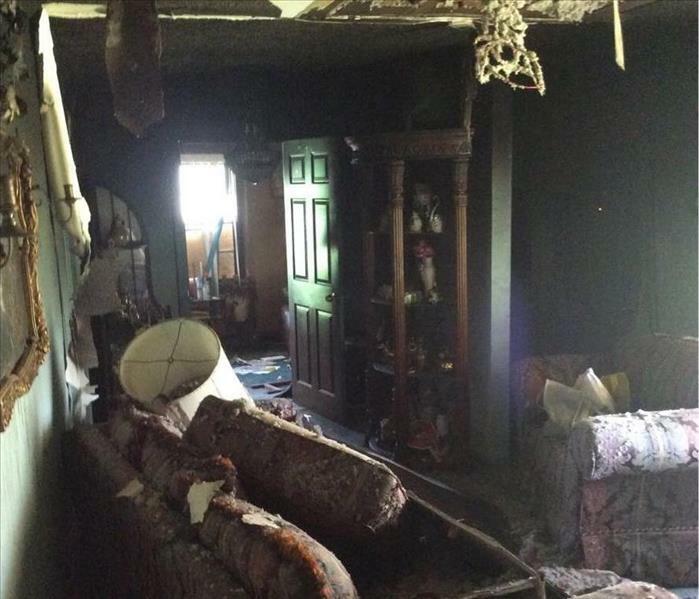 Once the home was safe to get back inside, the structure had already fallen onto the floor. There was a pipe that burst inside the wall in this bathroom. 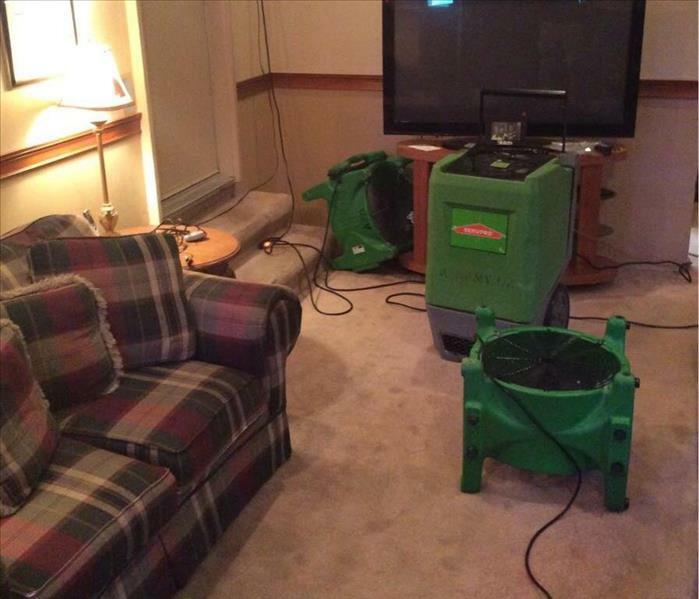 We were able to extract the water and immediately placed air movers to dry out the room as quickly as possible. We placed containment over this ceiling area after there was a fallen tree that came through the roof because of the age of the home. This home was potentially contaminated with asbestos and we placed containment over the area until testing was confirmed. We take pride in making sure that we keep everyone safe from potential mold growth and vapors. 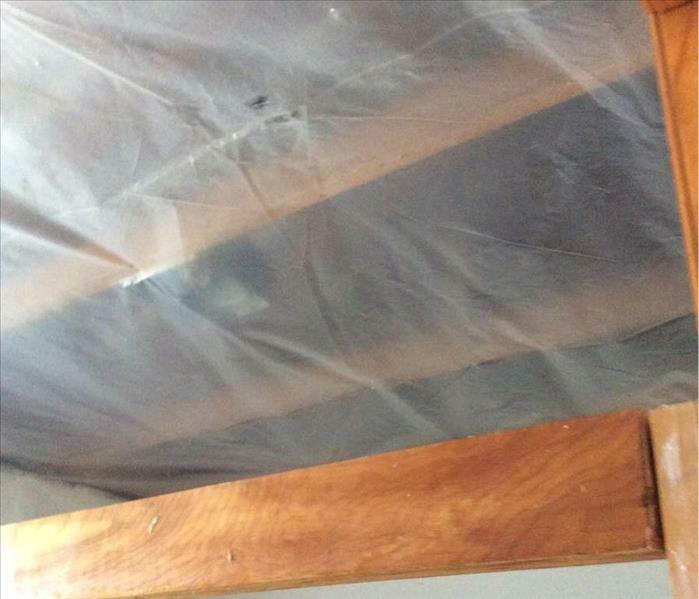 Anytime we come in contact with potential mold growth, we place plastic over the affected areas to protect everyone. 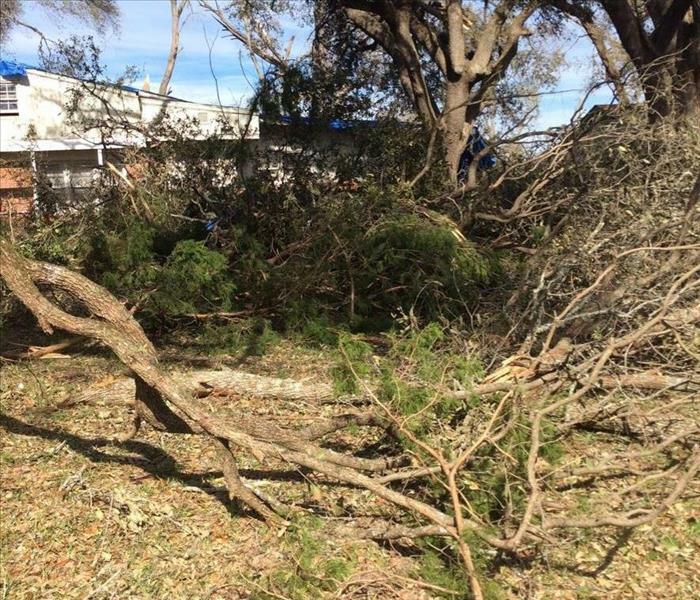 This church received some storm damage from strong hurricane winds and a fallen tree. 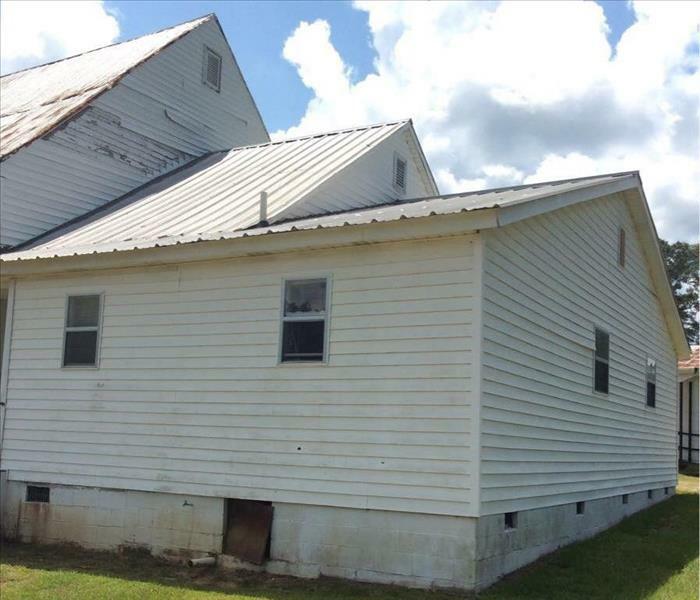 We were able to get a tarp over the church to prevent further damage, and began the dryout process. 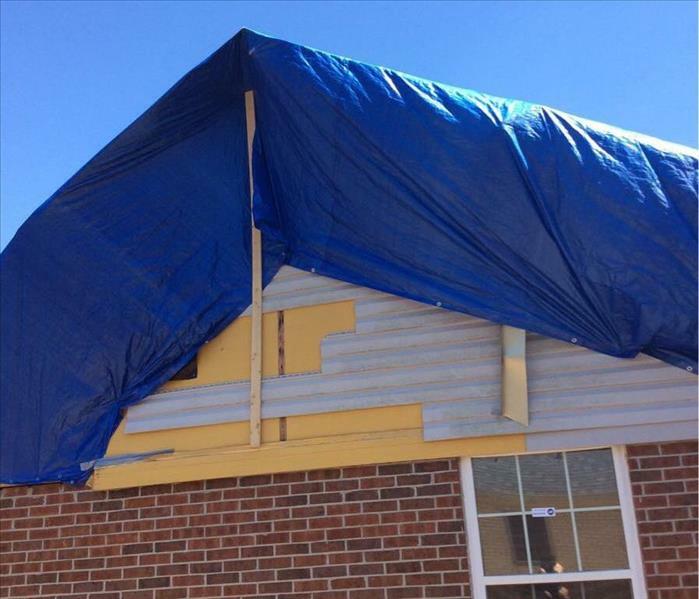 This Apartment Complex was damaged due to the hurricane winds. 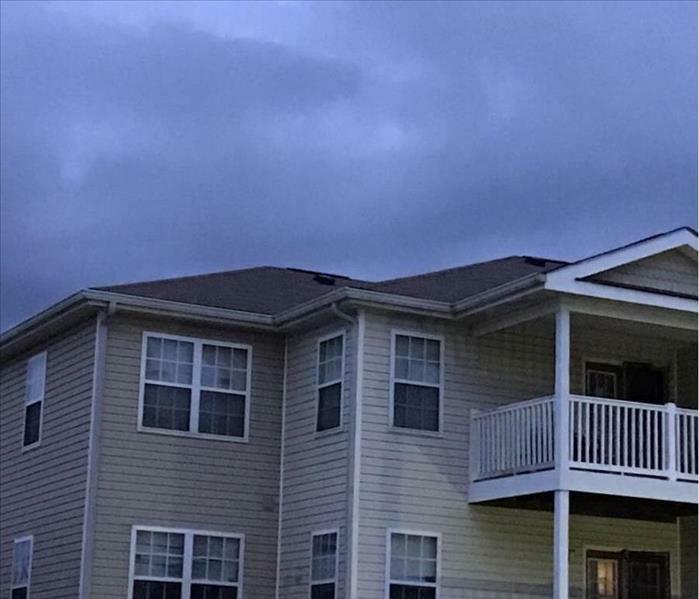 There were several apartments that were affected due to this storm. We were able to dry out approx 5 apartments in 3 days. Inside this home, soot and smoke damage was found throughout. This home was a complete gut and rebuild. We were able to salvage a handful of items because we were able to get on-site so quickly. This home has an electrical malfunction in the front bedroom affecting the entire home. We had to pack out and discard contents from inside this Americus home. 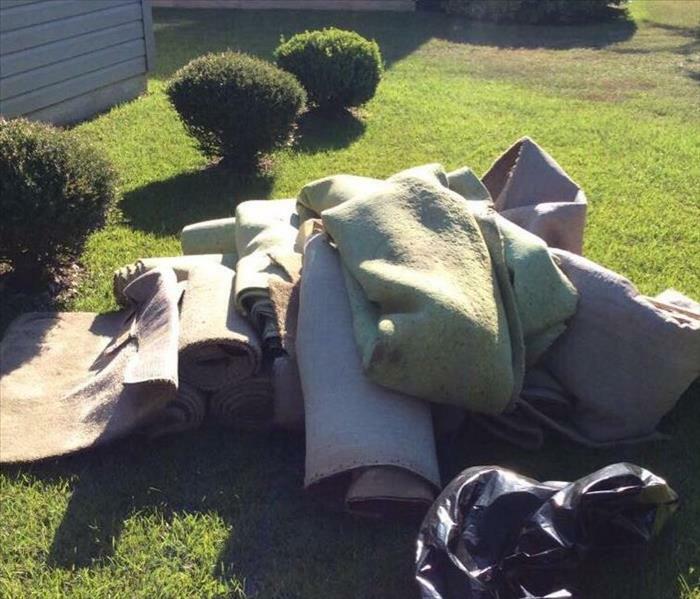 There were few items we were able to salvage, and the homeowner was happy with our customer service. 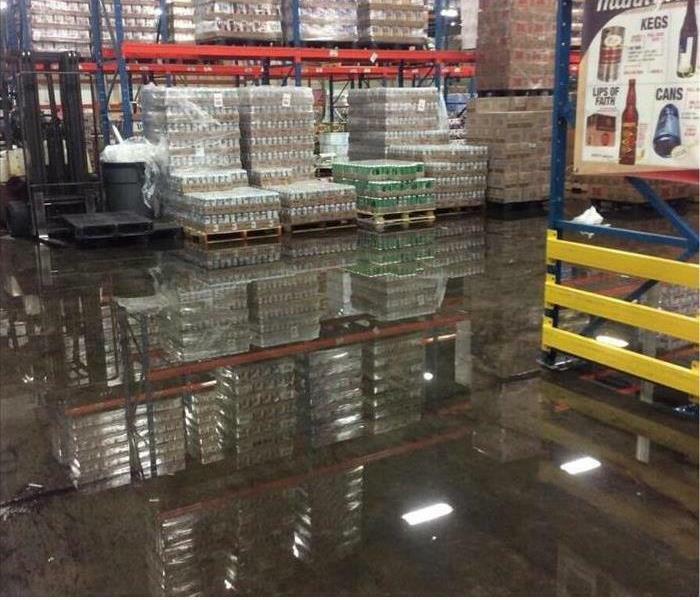 After some flooding, this commercial building had some issues with standing water. 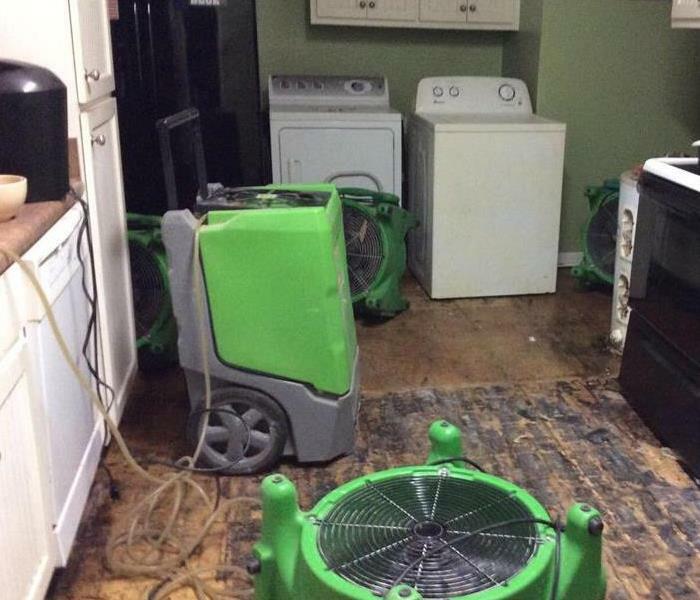 The SERVPRO of Americus team quickly got on site to try and control the water so it would not spread into other parts of the building. The team spend a lot of time extracting the water before starting the drying process. Sometimes mold can be found in the carpet and carpet padding if it is not dried properly. In this home, the carpet and padding needed to be removed due to mold growth. There was mold growing on the ceiling tiles inside of this room. 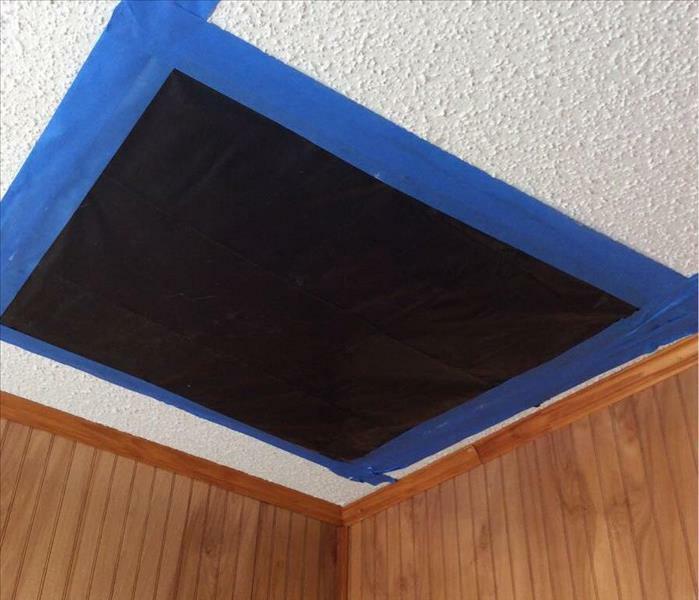 SERVPRO of Americus was able to remove the ceiling tiles and HEPA Vac in the attic area to remove all of the mold. 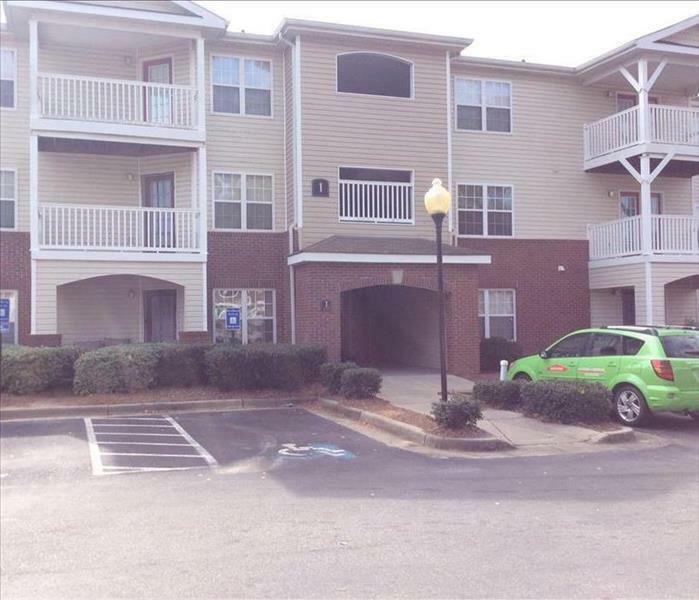 SERVPRO of Americus went into this commercial property to help take care of an existing mold and roof leak. We placed containment, air scrubbers and dehus to help stabilize until we were able to remove the mold. 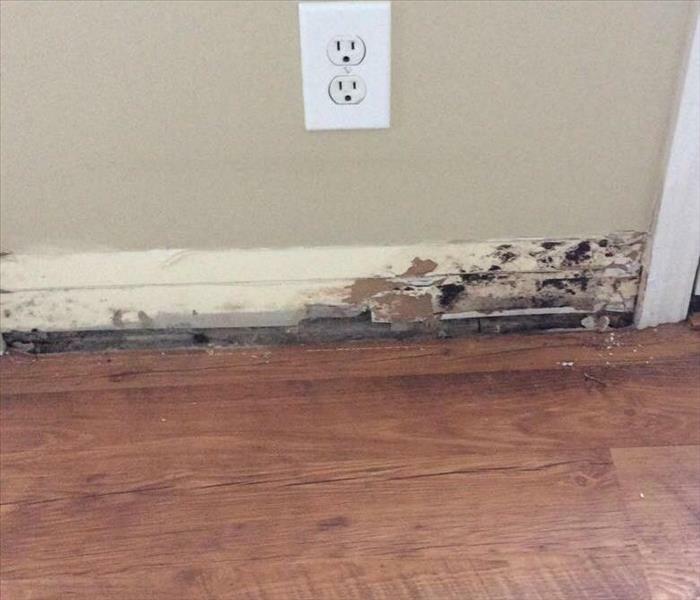 SERVPRO of Americus was called on this water damage and after pulling the baseboard to help aid in the drying process we found mold. HEPA vacuuming, anti-microbial and baseboard removal took care of this mold. SERVPRO of Americus was called for this big mold job. 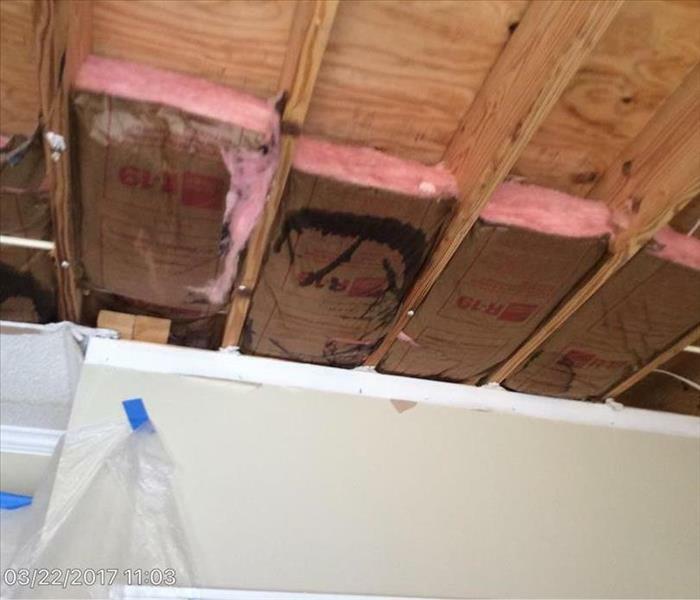 The ceiling and the insulation had to be removed. Containment was placed at the doors and over contents to help protect. 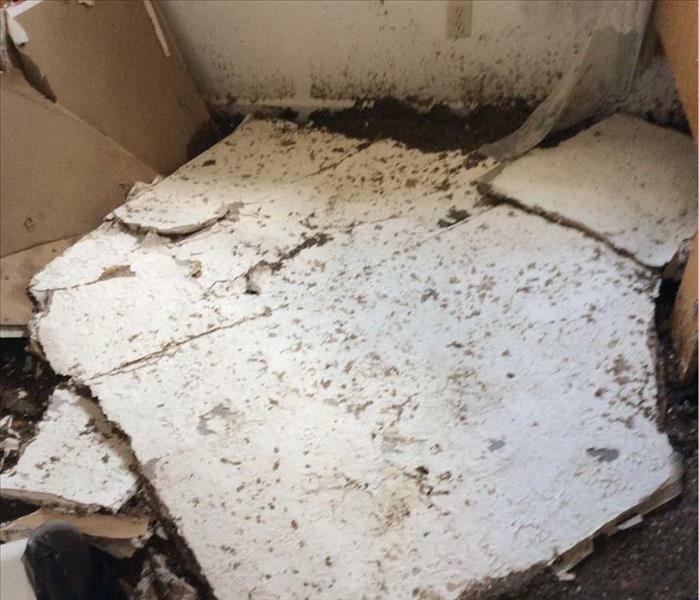 SERVPRO of Americus was called for this basic water damage from kitchen that ran into the living room. We were able to have in place drying so that we did not have to remove pad or carpet. 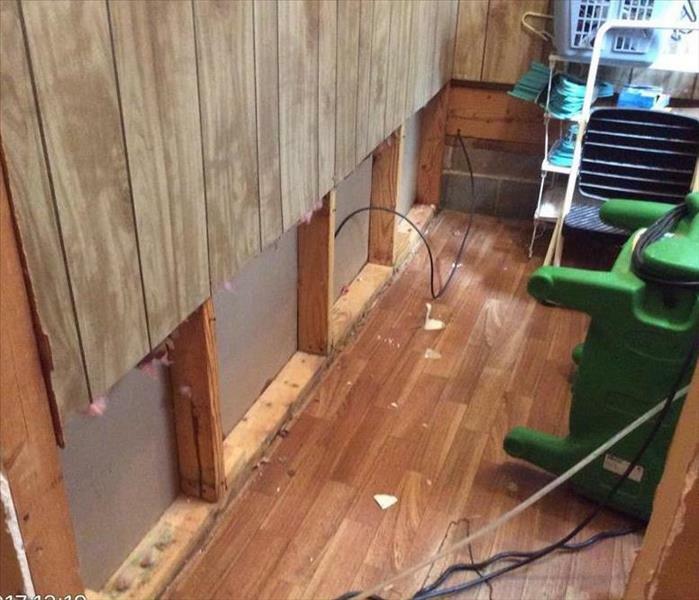 SERVPRO of Americus was given the opportunity to take care of this water damage due to hot water heater. The water wicked up the walls and caused us to have to cut a 2 foot flood cut up the wall to help prevent further damage. SERVPRO of Americus was called for this water job over a floating floor system. All of the flooring had to be removed and air movers and dehus were placed. 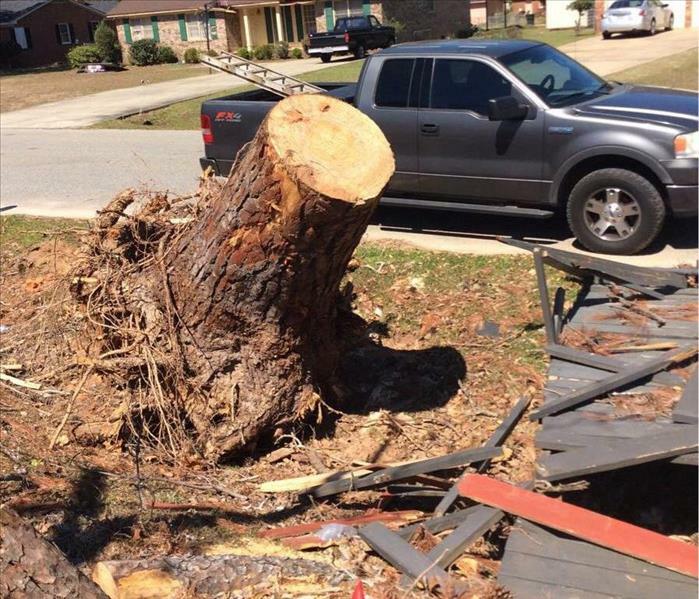 SERVPRO of Americus was called to remove this tree during the storm. 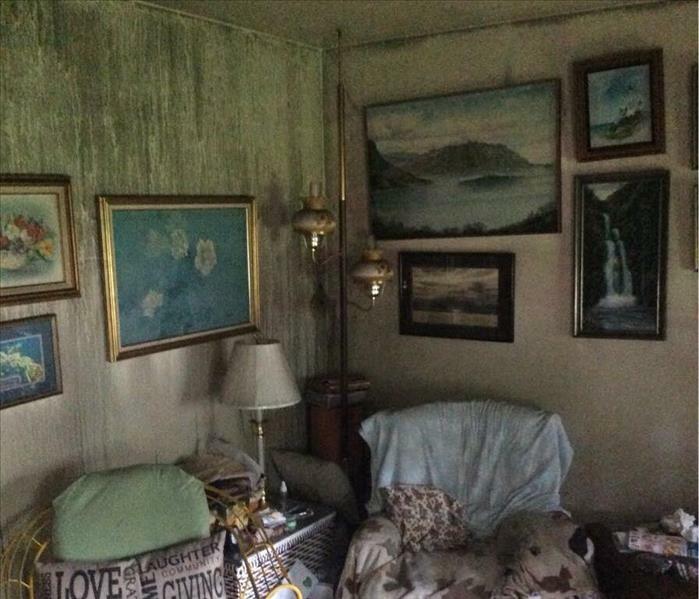 Inside the home was a total wreck due to the straight line winds. We packed out the contents of this home and dried it out until was rebuilt. 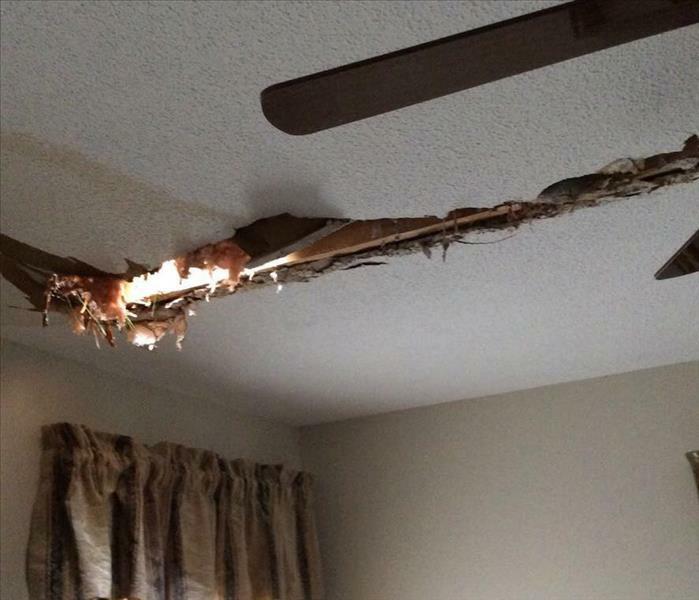 SERVPRO of Americus responded to this roof damage during the storm. We had to contain the inside and place a tarp on the outside due to rain still trying to come inside the home. SERVPRO of Americus was able to tarp and remove the tree off of this home in Leesburg. 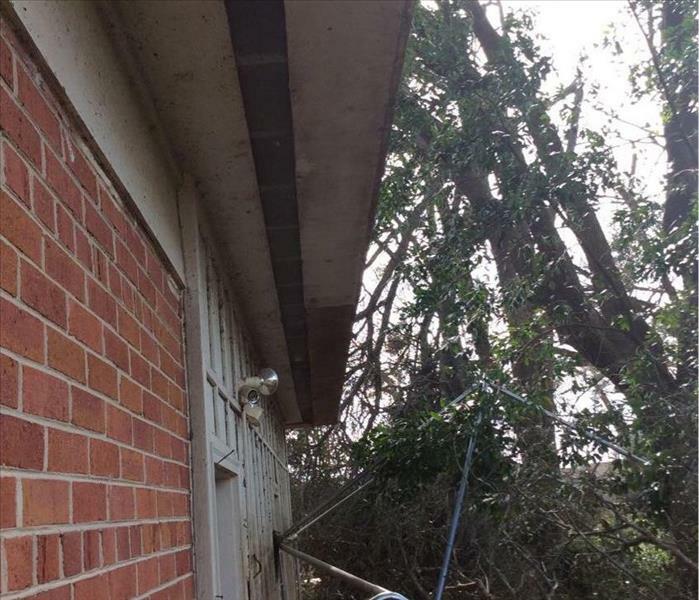 The tree penetrated the roofing system causing damage inside and outside of the home. 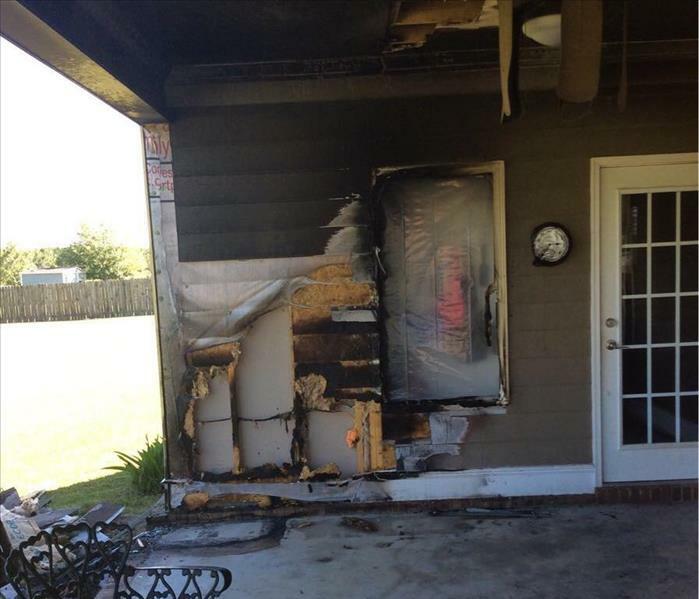 SERVPRO of Americus responded to a structure fire. This fire was considered a total loss and the structure will have to be completely rebuilt, however we were able to save many pieces of family heirlooms. 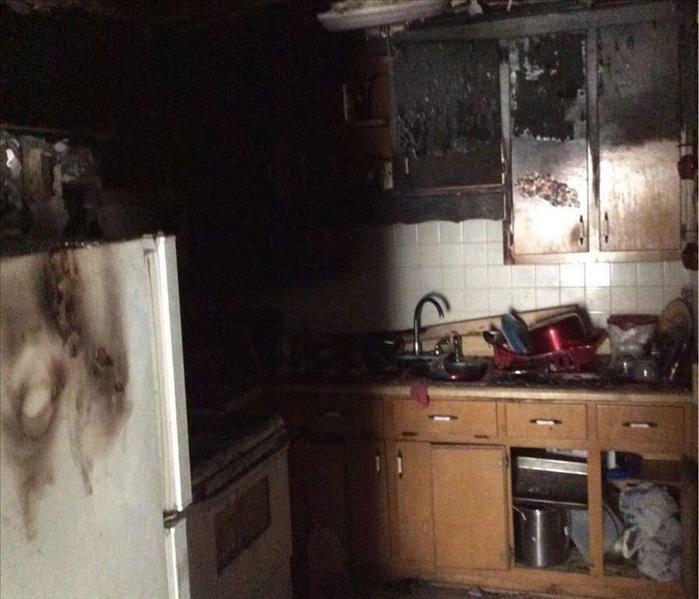 This home was fully involved with Mold. Sometimes we are unable to restore the home, but are able to rebuild. Construction Manager takes on the task of demo and rebuild. This is what happens when a candle is left un attended. This fire damage was outside of the home, however smoke and soot went inside of the home and SERVPRO cleaned and rebuilt. 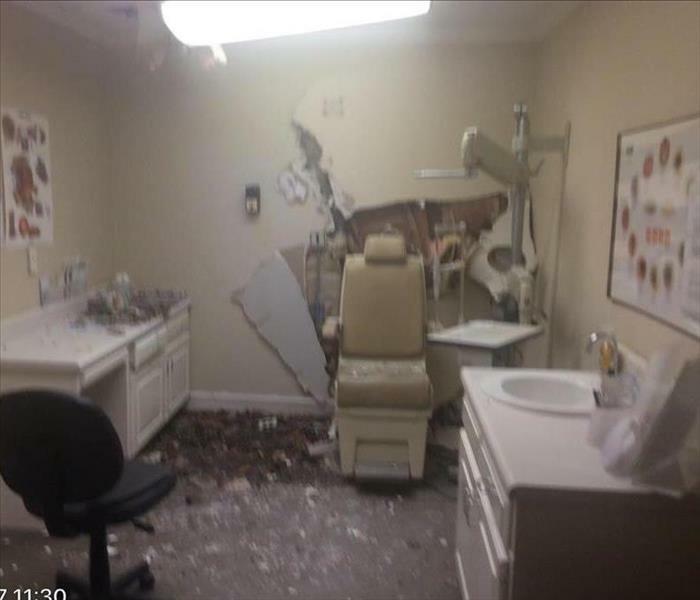 This is a picture of the doctors office that we were able to help make it like it never even happened. 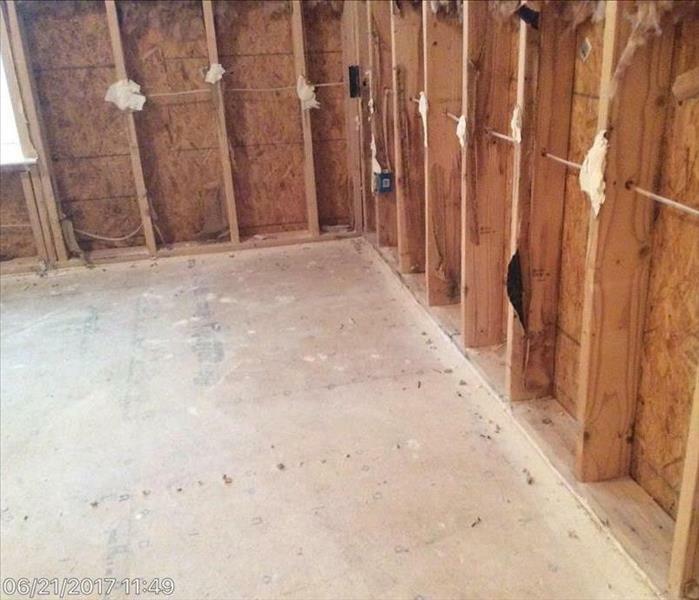 We cleaned all of the debris off of the walls and floors. This is Catherines Clothing Store. 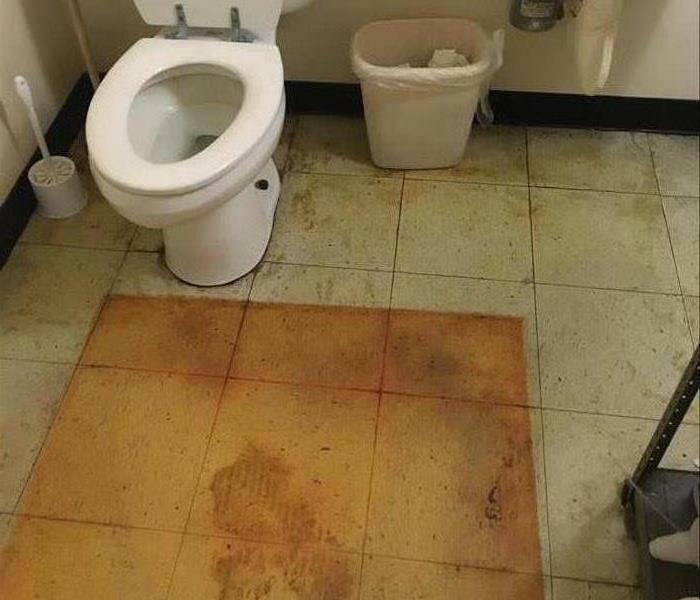 The fitting room had an ongoing water damage that turned into mold. This is commercial water/mold loss. 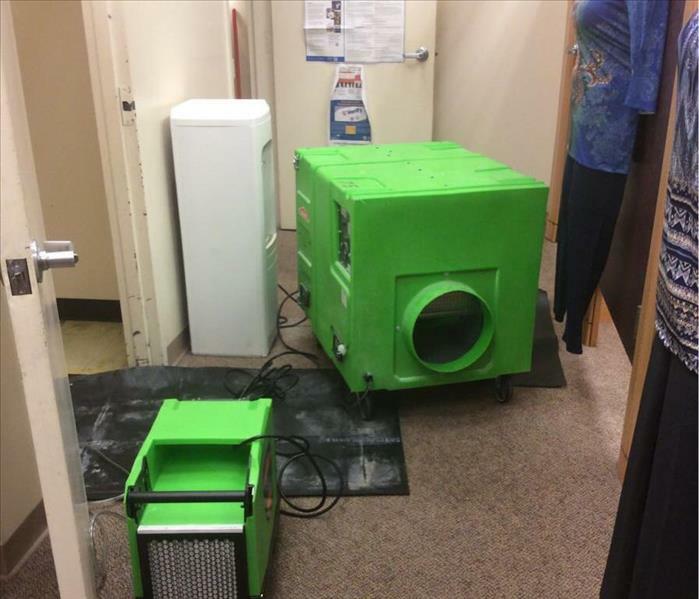 We set up containment, dehu's and air scrubbers. 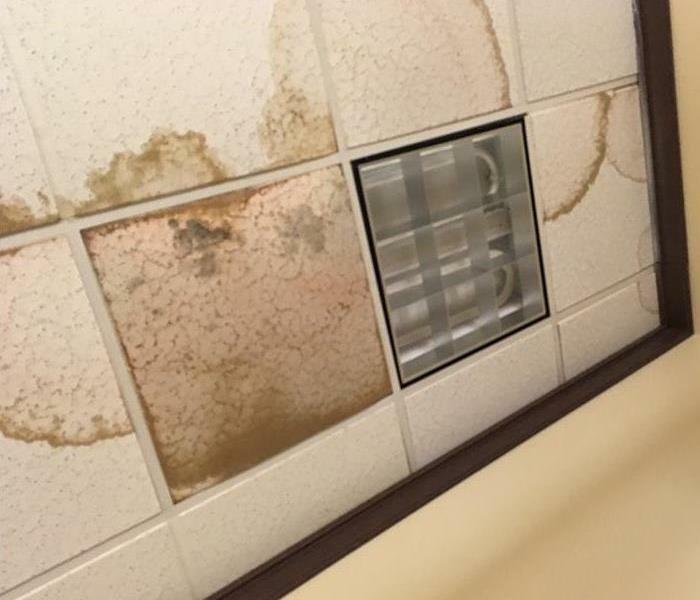 This apartment complex had a water damage that affected several apartments. 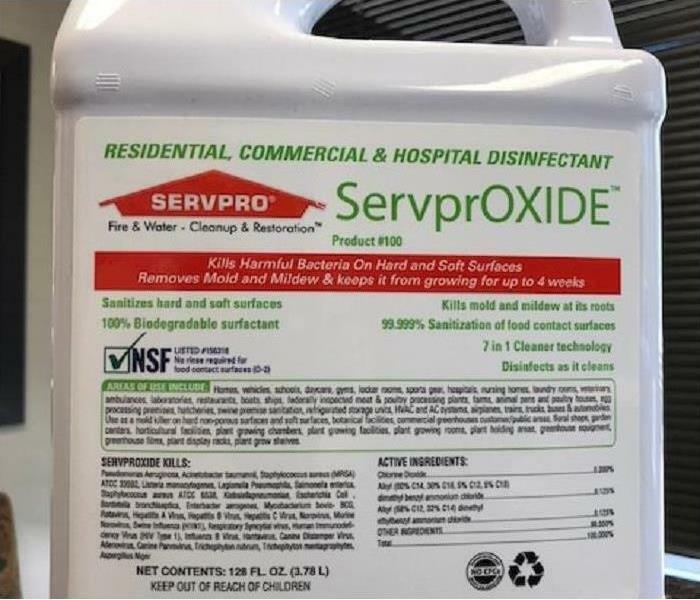 SERVPRO water restoration division was able to keep the tenants in their homes, and make it "Like it never even happened." 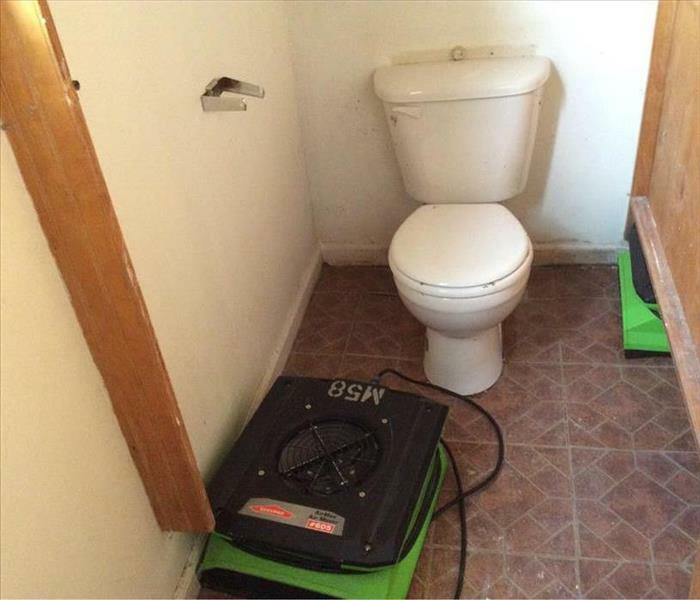 Our SERVPRO Water Restoration Division can remove wet damaged carpet and/or wet carpet pad when needed. This home had carpet and pad down the hallway that was deemed non salvageable. Here is the front of our SERVPRO Headquarters. This facility is where we train and maintain over 15 employees for any of your rebuilding, remediation, restoration and/or cleaning needs. We use the state of the art textiles system, called the Esporta. 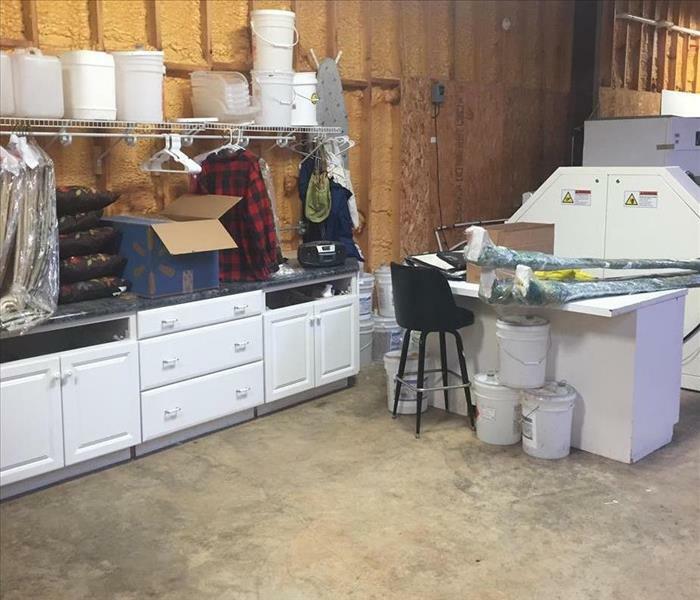 After textiles are processed, we utilize this staging area and processing table to pack, fold, and hang processed textiles. 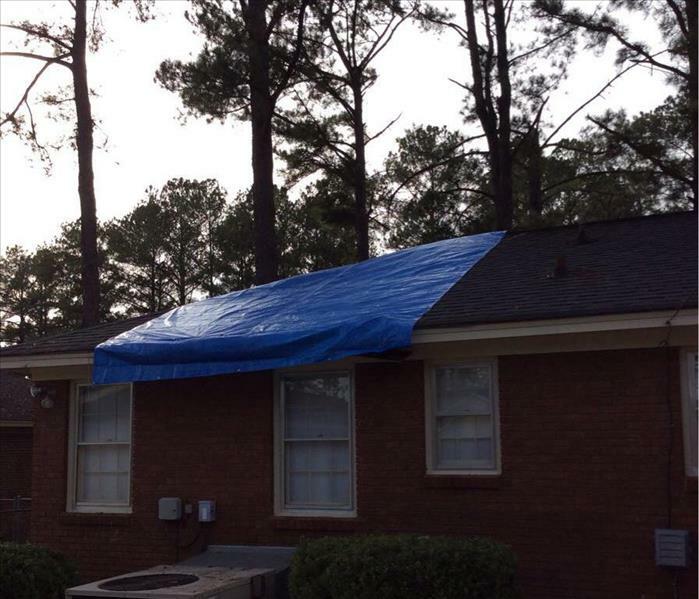 Not only do we handle contents and structure cleaning, but we also will tarp the home. This home needed our tarping services due hurricane force winds blowing through our area. This is a fire that started in the kitchen affecting most of the home with soot and smoke damage. This structure need a full packout, with all contents needing heavy cleaning and storage. Introducing the newest product for sanitizing and disinfecting. This chemical is EPA certified, and it Kills harmful bacteria on hard and soft surfaces. It also removes mold and mildew and can keep it from growing for up to 4 weeks. This is our climate controlled storage and processing warehouse. It is filled with contents ready to be cleaned and wooden crates full of cleaned contents. Rest assured that when your contents come into the warehouse, they are being cared for like they are our own. 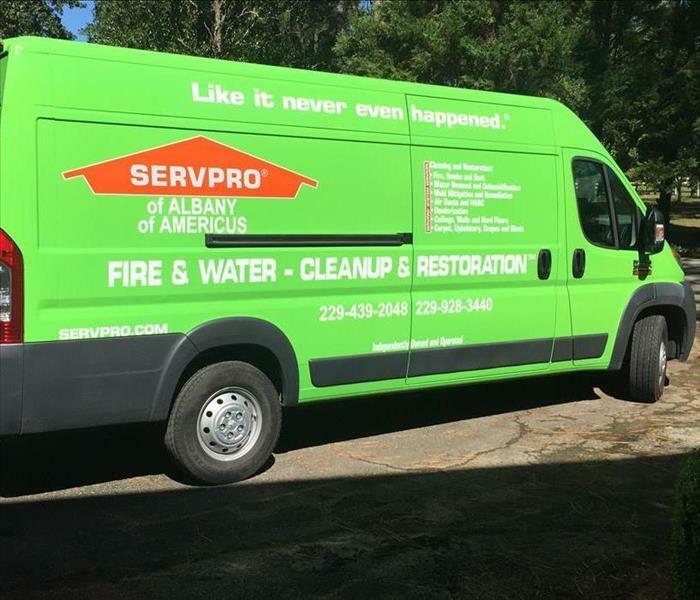 SERVPRO has added a new vehicle to the family. This is the new Promaster 2017. We have installed wonderful handmade shelves to hold all of our new air max fans without dumping over. So when you see this Promaster pulling in to your loss, you will know that you are in good hands. 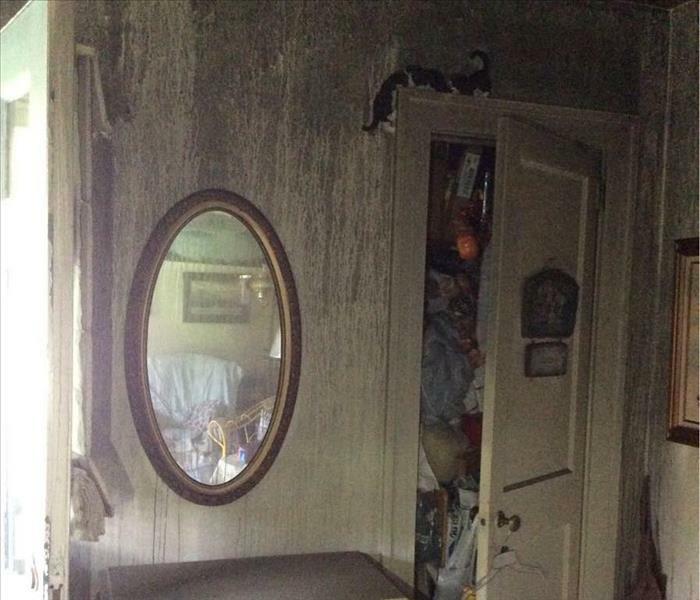 Fire damage to your Americus home can leave your valuable soft contents laden with soot and smoke damage. This is the kind of damage you can’t get out at the Laundromat. 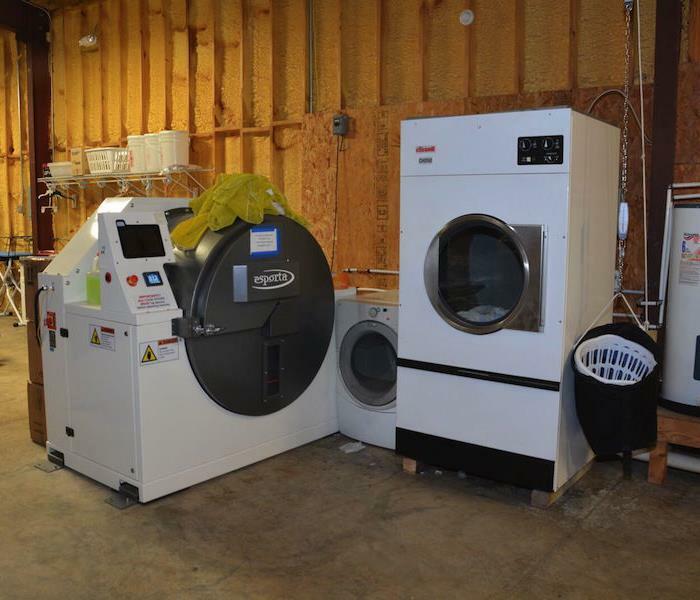 The specialized commercial washing machine shown here doesn’t tumble your clothes in soap and water. Instead, it holds your soft items in place and pushes them through a proprietary cleaning solution. The results are just amazing. If you experience a fire and new the experts with the latest equipment, call SERVPRO of Americus at (229) 928-3440.